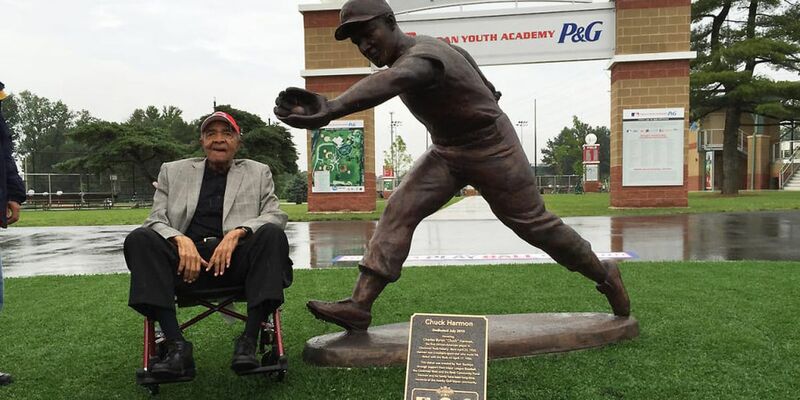 CINCINNATI, OH (FOX19) - Chuck Harmon, the first African-American baseball player in Cincinnati Reds history passed away at the age of 94 Wednesday, the Reds say. Harmon played third base and outfield throughout his baseball career. He played for the Reds from 1954-1956, the St. Louis Cardinals from 1956-1957, and the Philadelphia Phillies in 1957. He made his debut for the Reds at the age of 29 as a pinch-hitter in the seventh inning against the Milwaukee Braves on April 17, 1954, the Reds say. Harmon’s debut came seven years after Jackie Robinson broke the Major League Baseball color barrier with the Dodgers. In 2015, during the All-Star Game week festivities in Cincinnati, the Reds honored Harmon with a statue outside of the P&G Cincinnati MLB Youth Academy.